Okay. You read that you have to “Think out of the Box” in order to be creative and innovative in your organization and to get anything new accomplished. I just read this again in an article in Inc. Magazine (Mar, 2016) just like I read about it 30 years ago. The Box. Some things just never seem to change. …because there are often other people involved in making progress and you have probably been pulling your box around for quite some time, right? It is simply hard to keep perspective. Well, here is a little learning lesson: While things just might feel like you are simply pulling forward and things are operating on the Square Wheels and thumping and bumping along like always, you have other people involved who are probably fed up with not knowing where they are going and motivated to make improvements. Don’t expect much change if you continue to do those same things in the same way. Your Round Wheels are already inside the wagon. we really live in a world of continuous continuous improvement. Wikipedia defines Behavioral Neuroscience, as the application of the principles of biology to the study of physiological, genetic, and developmental mechanisms of behavior in humans and other animals. The American Psychological Association publishes Behavioral Neuroscience® for original research articles as well as reviews in the broad field of the neural bases of behavior. They are seeking empirical papers reporting novel results that provide insight into the mechanisms by which nervous systems produce and are affected by behavior. Me, I don’t publish many empirical papers these days… I design team building games and use cartoons and I blog and try to publish readable, actionable thoughts on people and performance issues. But I DO study behavior and I do know about the brain and so I thought to elucidate a couple of understandable pedagogical conceptualistic frameworks that underpin my use of stupidly simple illustrations and how they relate to things like communications, engagement, learning, facilitation, creativity, change and quality. My one word to describe the underlying key principle is “perspective.” Change perspective and you change a lot of things. Generating change is a complicated thing to accomplish and there are some great books written about it, with “Immunity to Change” by Kegan and Lahey (2009) being a really solid work and a good read. I think that perspective is also key to Daniel Kahnemann’s book,”Thinking, Fast and Slow.” And I still like the elegant simplicity of Peters and Waterman’s “In Search of Excellence.” All these books (and so many others) work by generating a more objective view of behavior and the working environment around it, much like what behavioral counseling is designed to accomplish (“Please, tell me about that…”). If that looks too complicated and confusing, maybe flipping it upside down will make it clearer? Anyway, what all that electrical activity you have heard about really does is to allow different areas of the brain to add some structure and pattern and “brain-shape” to the information, prioritizing some information and ignoring other input. It uses the brain’s learned preferences, along with some innate / cognitive biases, for putting things into categories and cubby holes and relating one thing to another, something we call categorization and association. Memory storage is based on link new information to old and creating some blocks. Once the brain has learned a few things, which actually happens pretty early in life and which continues for most people their entire lives is that we begin to see some patterns in things. Alzheimer’s, dementia and some other cognitive disorders are generally disruptions in information storage and retrieval, where these processes no longer work smoothly. Over time, more and more gets linked and related based on personal experiences and memories. This is normal learning; over time, more and more things get linked and the flexibility of sorting information decreases as these biases filter out more and more. Their behavior becomes more rigid and some tunnel vision can affect their perceptions. For those of us that are focused on process improvement and doing things more better faster, we will also look to identify some best practices or other choices that we might then label Round Wheels. Generating peer-level discussions of issues and opportunities and resorting and re-categorizing can refresh the learning process and generate more active involvement and engagement. Now, obviously, your brain is not built from LEGO, at least for most of us, and I am being relatively simplistic in my descriptive model of basic neurophysiology. There are underlying structures in the brain that handle information in different ways, adding speech and comprehension and motor skills and all other sorts of output processes to the input of information. But the basics DO apply, in that people’s brains focus on repetition and patterns and things that mesh in with past learnings are more readily integrated into what we know — ideas that are radically different are paradigms that are simply ignored. (See Joel Barker’s work video on Paradigms (from my pals at Star Thrower), based on the research of Thomas Kuhn and published in the 1960s. Okay. Enough already on The Brain. How about some ideas on people and performance and how all this applies to the workplace! Okay. The use of my Square Wheels images is really well-grounded in a variety of principles of learning and thinking that you might find interesting. So, I will try to share some of the underpinnings as to why such a simple approach can be so powerful and effective. Think about it! Only by stopping the action and looking at how things work can you possibly identify new or different ways of doing things. By dissociating from the current reality, it is possible to see new relationships and gain new perspectives. Plus, if this is done with a shared approach, with more than one person adding ideas and viewpoints, the impact can be more better faster and the ideas can have more breadth and depth. Dissociation and perspective also serve to decrease the emotional aspects of managing and leading change. In counseling, being able to simply view the situation without all the heavy emotional hooks is a desired outcome. The same thing occurs in the workplace. Talking about the THINGS that do not work smoothly is much less emotional than addressing issues that might be taken as a personal attack and thus generate defensiveness and active resistance. This is another reason why using Square Wheels as a metaphor is so effective. Most of you are familiar with inkblot tests, properly called Rorschach tests. The visual has no reality but people will project their ideas onto that image based on their own information processing. (Look, a squirrel!) A related psychological test is the Thematic Apperception Test, which has situational drawings and people are asked to tell a story based on what they see happening. Both of these tools push people to put personal viewpoints and frameworks onto the images, which have no “internal construct” of their own. They are not pictures, but images that allow for differing perceptions and interpretations. Perception is a key to understanding. And people benefit by having a language on to which they can hang ideas. If the word for it does not exist, it is really hard to categorize it. That is another reason why Square Wheels work in the workplace, since they give everyone a common anchor point against which to pull and push around ideas for improvement. By its very nature, it could and should be improved and something that gets labeled a Square Wheel sets itself up for improvement. “The eye sees only what the mind is prepared to comprehend” is a relevant quote from Henri Bergson. Having an image against which to overlay systems and processes allows for a better understanding of the issues around performance improvement. There are two other aspects to perception that link to the theme of motivation. One is that having some vision, preferably shared with others is important. Knowing where you are going is beneficial. The second is ownership, in that having a sense of active involvement and engagement is important. I can illustrate with another of the Square Wheels images along with one of my most favorite organizational development quotes. Stepping back from the wagon allows a sense of decreased emotion while expanding perceptions, and often “considered alternative choices.” The latter are critical in order to conceptualize a different future. If you cannot see alternatives, you cannot choose from them. Simple. My goal was to present our simple concept of organizational involvement and transformation, the Square Wheels theme, which is general and flexible and adaptable to a wide variety of personal and organizational development situations. People have a generally favorable memory of LEGO and play, and the links to the issues of combining different perspectives on issues and opportunities lend itself to improved communications. * back before we became enlightened, we called it “physiological psychology.” Heck, the whole department is now called, “The Department of Psychology and Neuroscience” even though the website is still psychology.unc.edu so go figure… I might as well try to move into the mainstream of popularity. ** Idea from the Department of Redundancy Department and the concept that the Round Wheels of Today will, invariably, become the Square Wheels of Tomorrow. Failure to continuously improve is a design for disaster. Think of land-line telephones and MySpace. I was reading a magazine focused on workplaces and came across an article discussing union prevention, something that has been going on for a long long time in the history of business. The basic thrust of the article, written by a lawyer at a well-known labor-law firm, was focused on things an organization could do to prevent people from choosing to organize, with the philosophy that organizing would be bad for the company and bad for the community. I omit the name of the magazine, simply because the framework I take in reaction to the content is not very positive. For the past 40 years, I have focused on improving performance through people, and I will note that my father ran a small trucking company for 50 years that was partly staffed with Teamsters Union people – guys that I got to know pretty well because I worked with them unloading freight and simply around the platform. My dad always depended on the union to help him with the difficult people and performance issues; before that, he was NJ State Trooper Badge 873. This is not about the unions. It is about leading people. Only the fifth bullet in this article talks about increasing employee involvement and engagement and improving workplace practices to improve motivation. The suggested approach is one of conducting reviews and surveys to see if employees feel they are treated fairly and fairly compensated and that they clearly understand company policies and expectations. These days, companies spend many millions of dollars on such employee surveys, with 97% of companies saying that listening to issues and ideas is important — but where less than half the workers feel that their thoughts matter to their managers. With all the money being spent on surveys that generate so little action, wouldn’t a focus on generating more involvement and engagement be a more cost effective way to maintain good workplace conditions, practices that would actively prevent unionization? People are not going to organize unless they feel that other approaches will not work, and those feelings are generally based on experiences. Yeah, improving engagement and leadership practices would not generate revenues for law firms like the author’s, but it does not seem likely that spending all that money on surveys and “prevention” will be successful if the workers really are dissatisfied with working conditions and the perception of fairness. Right? That article concludes with a paragraph about officers and managers being trained at least once a year in the legal aspects of union campaigns, even if there is no union activity, and about how to educate employees about the negative aspects and costs of a union, to be ready to mount counter-campaigns to any unionization ones. Seriously? Why not just treat the employees well, respect their opinions ideas, and improve productivity and performance rather than spending time and money on activities that really do not impact performance improvement in any way. We sell simple, inexpensive toolkits to improve peoples’ performance, generate alignment to shared goals, and improve teamwork. 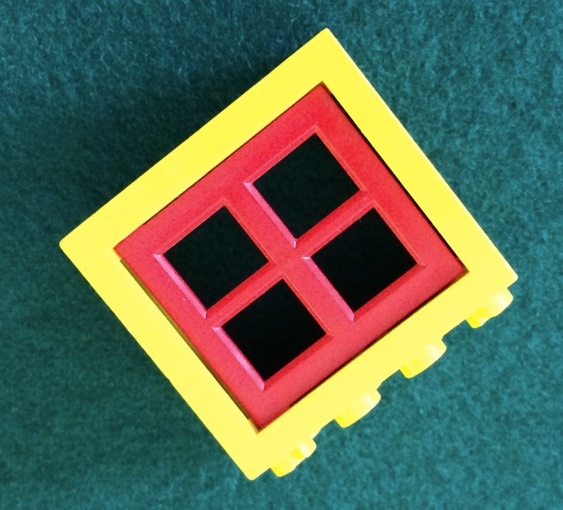 You can see user survey results for our Lost Dutchman’s Gold Mine team building exercise here, and you can find a $25 LEGO-based Square Wheels facilitation toolkit here.